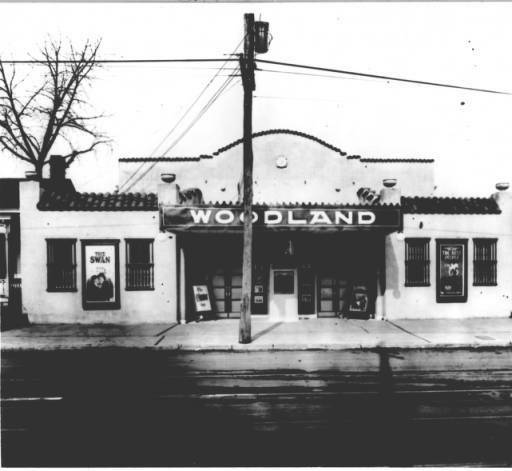 For thirty years, 1011 Woodland Street was home to Woodland Theaters, a staple in the Five Points community. Located at 1011 Woodland Street, Woodland Theaters had a large impact on Nashville during its thirty years of operation. The earliest records of the property seem to be from the years 1899—when the property was being advertised for rent at $9 a month —and 1900, when the lot was on sale for a grand total of $950 —both times by a JC Smyth. But by 1925, the Marr and Holman architectural firm had bought the land and in collaboration with Crescent Amusement Company, built Woodland Theaters. From 1925 through 1955, 1011 Woodland Street was the home of the Woodland Street Theater. The property was owned by the Crescent Amusement Company, a Nashville-based theater chain that dominated much of the south east. In 1955, the movie house closed and was rented out as Pentecostal revival center. Finally, in 1967, after acquiring the gospel record label Nashboro Records and its publishing arm Excello, Crescent Corp hired Glen Snoddy to convert 1011 Woodland Street into a cutting-edge in-house recording studio for Nashboro records. By 1969, recording requests from country, pop, and rock artists were stacking up, prompting Snoddy to build a second studio. The space was condemned in 2001 after damages sustained in the 1998 tornado that hit East Nashville, causing a lawsuit between the owners and the tenant who operated the studio at the time. The property is now occupied by Acony Records, a record label owned by country/folk artists Gillian Welch and David Rawlings. Wes Dunbar, “Woodland Theater,” Bygone Nashville, accessed April 25, 2019, https://bygone-nashville.mtsu.edu/items/show/47. JC Smyth advertisement. The Tennessean, January 22, 1899, p. 6. Ibid, September 16, 1900, p. 10. Tennessee State Library and Archives. “Marr and Holman Architectural Firm Records 1910-1965.” https://sos.tn.gov/products/tsla/marr-and-holman-architectural-firm-records-1910-1965. Accessed November 28, 2018. Wood, Thomas E. “Woodland Studios in Legal Whirlwind.” Nashville Post, February 23, 2001. Accessed November 28, 2018.